A curriculet is a digital lesson consisting of thoughtful interactions that enhance any text to deliver a deep close reading experience. Curriculets can be side-by-side companions to physical books or articles, or they can be fully embedded overlays of digital texts. Curriculet interactions include definitions, annotations, videos, and images to supplement and enhance the content, and multiple-choice questions, free-response dialogue, and benchmark quizzes to gauge comprehension and encourage deeper thinking – all guiding your students through every text they read. Want to peruse our Library of Lesson Plans? You can. For FREE. Our team of experienced educators have built thousands of vetted digital lessons. Teachers get access to our ever-growing, ready-to-use list of curriculets with every Curriculet package. With Curriculet, you guide your students to read and learn the way they want, when they want, and where they want. Curriculet’s system allows students to choose physical books, digital books, and audiobooks, but still get the support they need to excel and thrive in the classroom. Already have a book you want to teach? 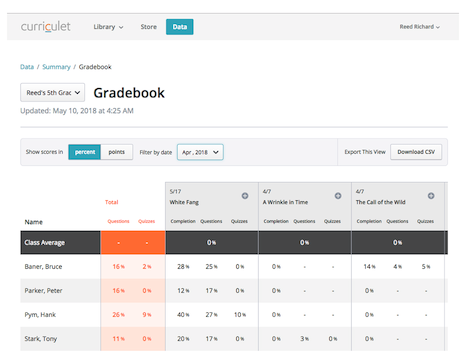 Test it out with Curriculet, for FREE. Curriculet is the only digital interface that allows you to use ANY physical, digital, or audiobook. 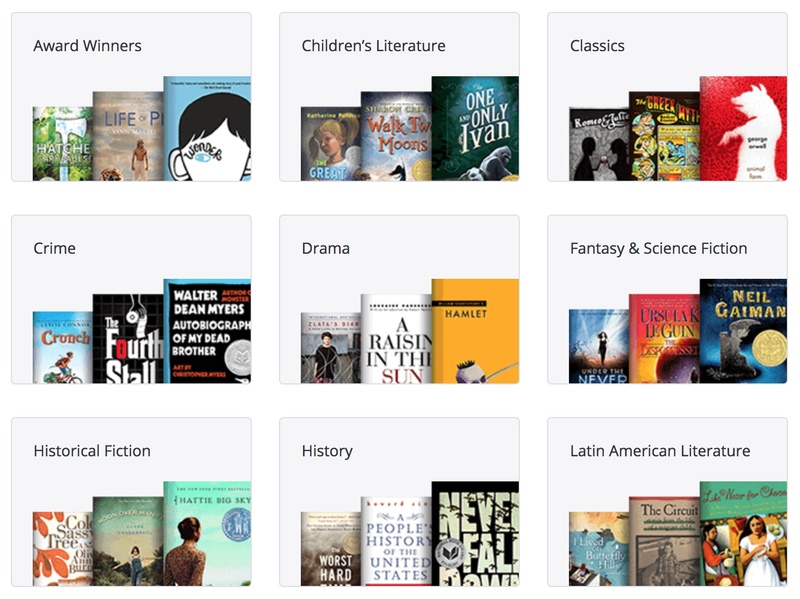 Curriculet lets you use the digital lessons with the book library you already have access to at your school. With the Curriculet platform, you can personalize reading assignments, let students make their own selections, or both. You can created differentiated lessons for the same book or article. Add in-depth interactions that engage your most advanced students, build scaffolded support prompts for students that need help stretching to comprehend the text, and make any content you select for the whole class instruction accessible and meaningful for every student. When your students use Curriculet, they get real-time feedback and support while they read. 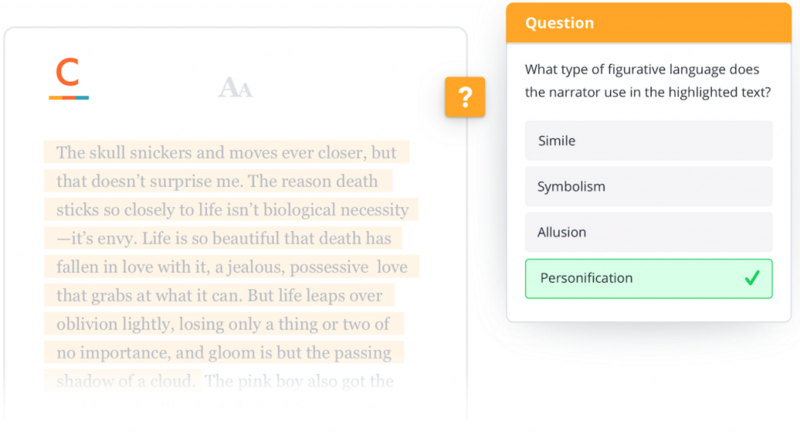 Students can look up any word in the text, make annotations, get instant answers on check-point questions, and receive in-system responses from you. It’s as if your students are reading with you by their side. You’ll never need to hand out and grade another paper quiz to know if your students read. You’ll know before you walk into the classroom – how many of your students read the assignment, how well they understand the text, and how to best spend your time reinforcing areas where they are struggling. With Curriculet, you are empowered as an educator to best teach and support classes’ needs. Curious yet? Give Curriculet a try today! How Much Does Curriculet Cost? Curriculet’s founder, Jason Singer, created the reading program after seeing his students use and excel at advanced, complex, text-heavy video games, but fail to comprehend a traditional book at their reading level. And an unsettling trend began to emerge that children’s love of reading only decreased as they got older. Singer devised Curriculet to counteract this trend. Waterford.org acquired Curriculet in December 2016. Founded in 1976, Waterford is a nonprofit education partner focusing on literacy and early education. As a nonprofit, Waterford invests its money and efforts to build products and services that have significant impact on student success. Curriculet fits into Waterford’s mission to propel a lifelong desire to read and learn. Success from the start is possible for every child, and every student can find and explore a passion for reading and lifelong learning.